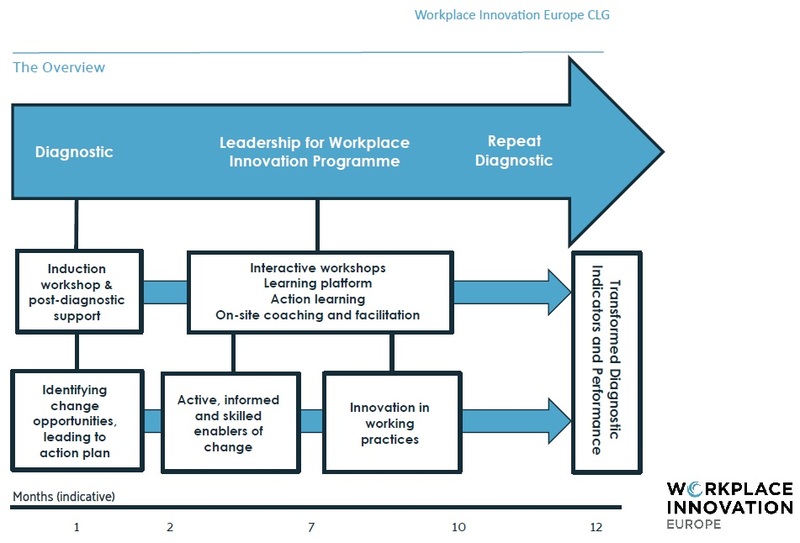 Workplace innovation Europe, in partnership with SisConsult, offer an innovative approach and learning program on workplace innovation practices. The Workplace Diagnostic helps you acquire an in-depth understanding of where change is needed in order to enhance engagement and performance. It focuses on workplace practices that enable people at every level to use and develop their full range of skills, knowledge, experience and creativity. What is workplace innovation? And how do you create a system of working practices that leads to high performance and high quality of working life? The Essential Fifth Element was created precisely to help organisations of all types answer these questions. It builds on in-depth analysis of literally hundreds of research articles and case studies, as well as on much practical experience of stimulating and supporting workplace innovation. The way we organise and manage our workplaces is vital to the future of our economy and its ability to compete in a fast-changing world. Workplace practices affect productivity, innovation and customer service. They have a major influence on our health, well-being and engagement. Research from Finland, The Netherlands, Sweden and the US shows substantial performance premiums in firms that systematically involve and empower employees. Compared with firms using traditional workplace methods, productivity was 20-60% higher while turnover and sickness fell by over 20%. One of the most significant obstacles to employee involvement and participation is partial change – a failure to recognize that organisations are made of interdependent parts that either nurture or obliterate innovative ways of working. The Essential Fifth Element focuses on the organisation as a whole system. Leadership for Workplace Innovation enables you to take advantage of our experts in supporting your change team. A. Making the business case for change. B. Enabling highly effective jobs and teams. 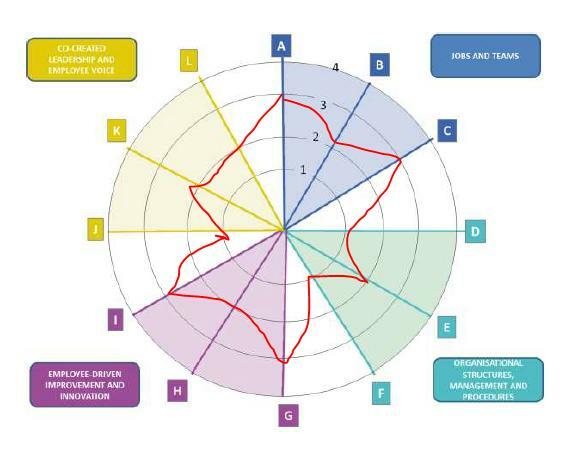 C. Aligning organisational structures, management and procedures to high performance outcomes and employee engagement. D. Engaging employees at every level in improvement and innovation. E. Leadership to enable others to lead. 1. Two full-day interactive workshop sessions shared with other companies in the group, and covering the areas of practice identified above. Workshops are strongly orientated to action and directly address the challenges and opportunities facing your business. 2. Access to Fresh Thinking Labs’ online learning platform’s practically focused evidence, case studies and tools that build on the workshop sessions and support action planning, plus online mentoring. 3. Support for participants through five half-day ‘critical friends’ action learning sets at monthly intervals, enabling them to discuss challenges, share problems and celebrate successes with their peers. 4. Two half-day in-company support visits, including individual coaching and on-site facilitation of engagement events and task groups. Past examples include the facilitation of change workshops for employees and/or senior teams. 5. Participation in online and in person networking and events, nationally and internationally, with other companies on the Fresh Thinking Labs platform. Leadership for Workplace Innovation is a tried and tested programme, accredited by the Institute of Leadership and Management (ILM), grounded in evidence, and focused on practical approaches to change and improvement. Participants gain accreditation as Workplace Innovation Practitioners and are awarded an internationally recognised ILM Level 5 Certificate in Leadership. And we provide you with all the support and encouragement you need throughout the programme, drawing on our extensive experience of working with companies across Europe. Fresh Thinking Labs is the international open source movement for workplace innovation. Your pathway to the best workplace practices and latest thinking from across Europe and beyond. Fresh Thinking Labs combines state of the art Online interactions with In Person opportunities for knowledge sharing with leading practitioners and thinkers. Our platform is for everyone looking for ideas and practical support. Much more than a database, it builds one-to-one and group relationships. It facilitates dialogue and knowledge sharing between members with common interests and challenges. We believe in building high performing organisations and fantastic places to work. Sharing knowledge and ideas with people in other organisations leads to positive outcomes for everyone!